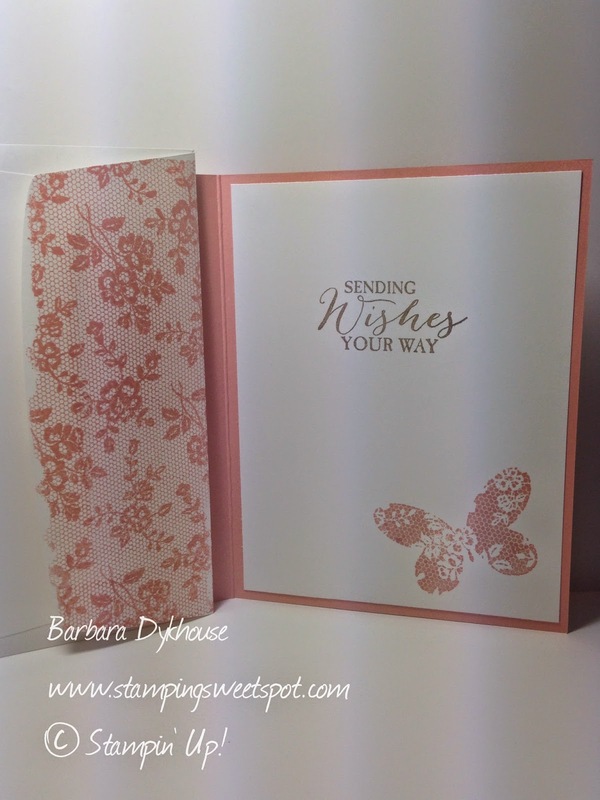 Stamping Sweet Spot: Think Spring! 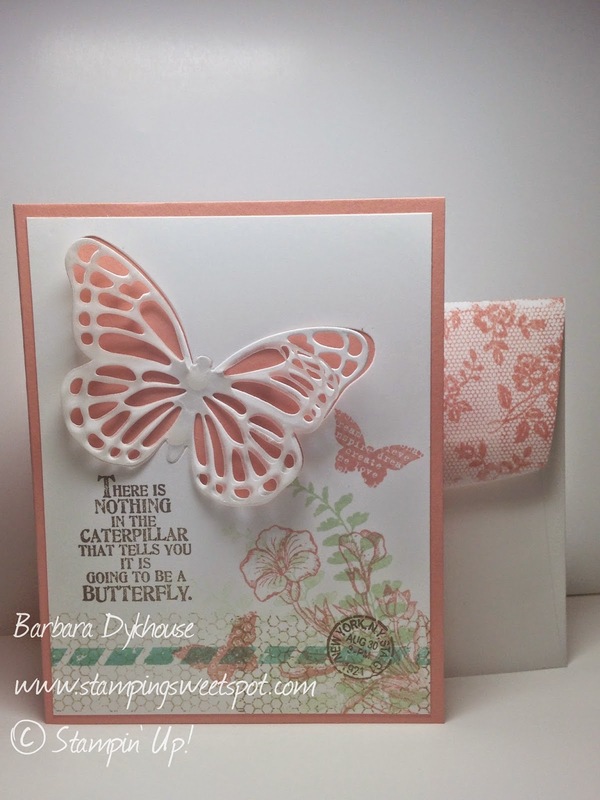 I stamped the inside of the card with the medium butterfly from the stamp set and that's when I noticed that the lace pattern on the butterfly matches the lace on the background stamp. Pretty cool, Huh? I hope you enjoy what's left of this weekend! And for some of you, you get to enjoy a day off on Monday as well! Love your card Barbara - wish I'd met you at Leadership!! Thank you for your kind words, Carole! I appreciate every comment!